I have already shared my crocheted hearts. I have crocheted them to a purpose. 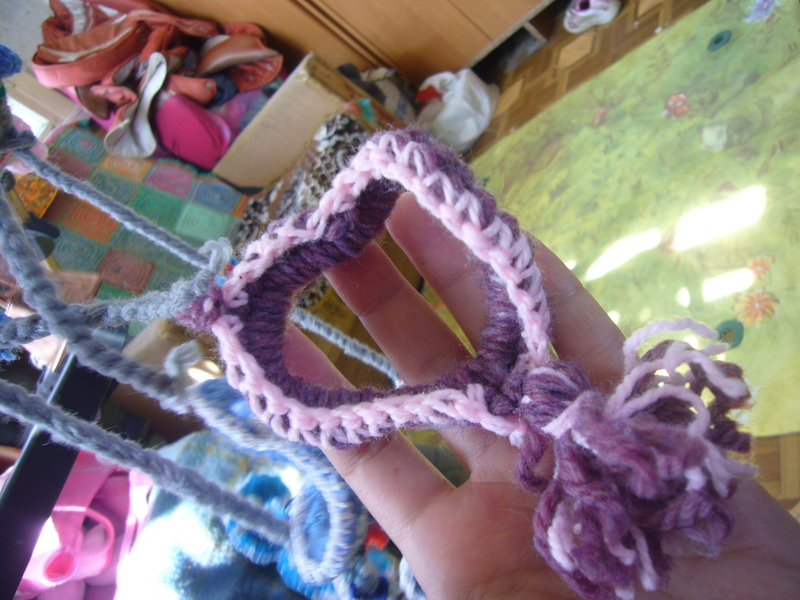 I have made a crocheted baby toy karusel out of those hearts. I have crocheted 5 different color hearts like this. I have taken a piece of soft hose, joined it in a circle and crocheted over with a thick gray yarn. 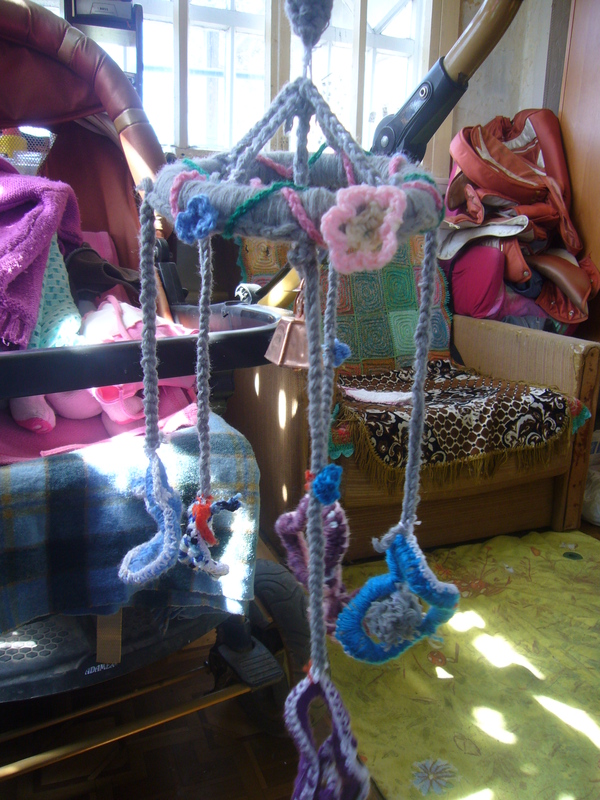 I have decorated this crocheted carusel with crocheted flowers. In the middle of it I have placed a bell. 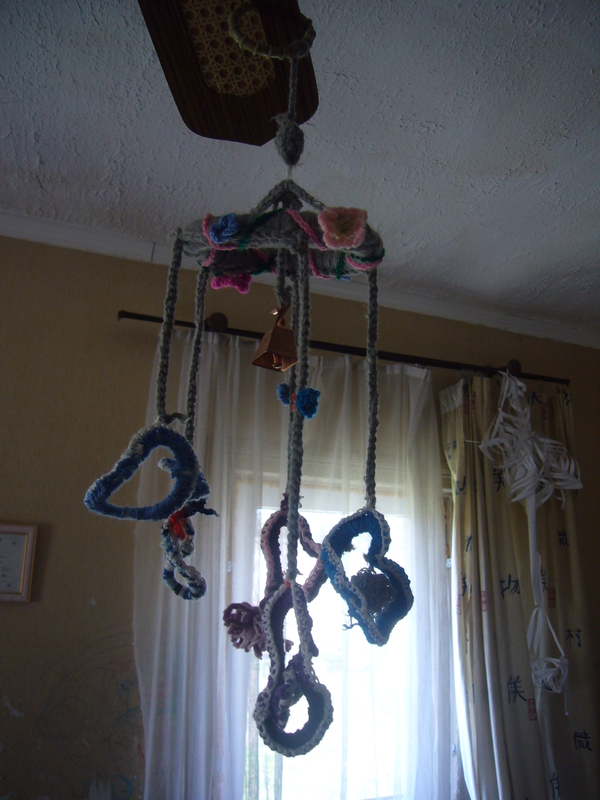 The baby simply loves to pull the hearts and ring the bell of this crocheted hearts karusel toy. 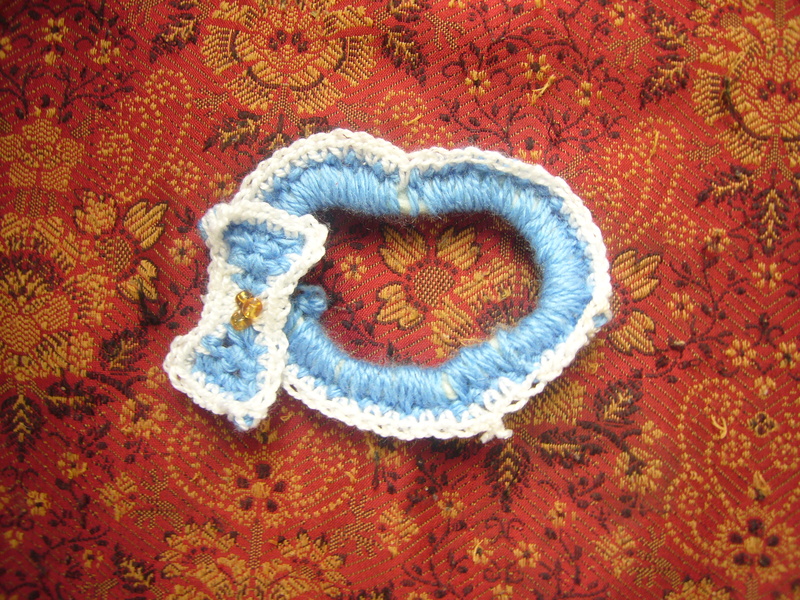 This entry was posted in Crocheting and tagged crafts, crochet, crocheted baby karusel, crocheted baby toy, crocheted hearts, crocheting, DIY, handmade. Bookmark the permalink.